I'm no stranger when it comes to baking, but when my husband asked me to make him scones for breakfast I realized I had never made these particular pastries before. Not wanting to disappoint him I immediately solicited the help of a professional baker, Lisa Levison. 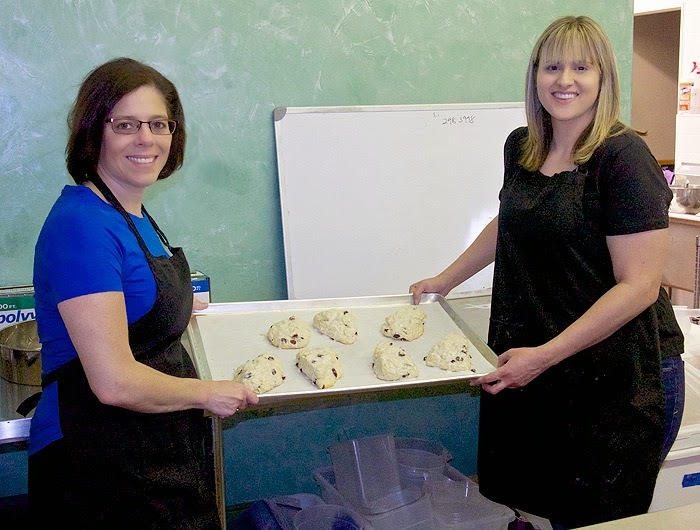 Lisa is the owner of The Bakery Phoenix, a small neighborhood bake shop at 16th St. & Bethany Home Rd. 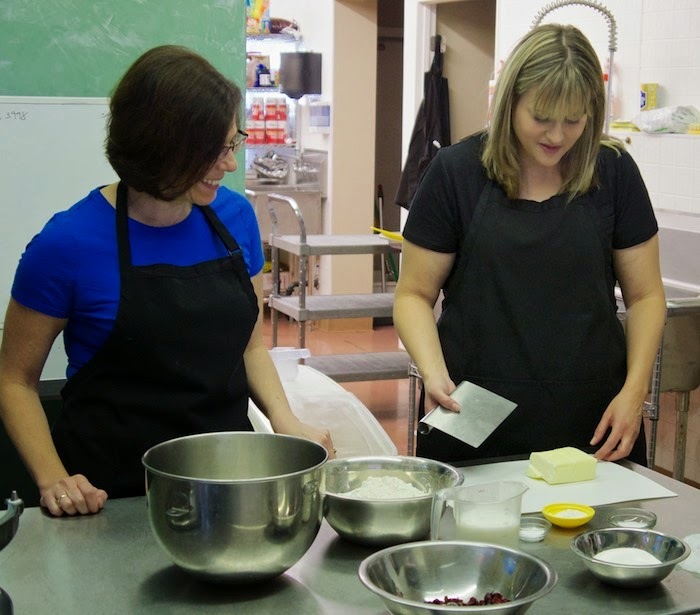 Lisa's passion for baking started as a young girl and has continued to grow throughout her adult years. 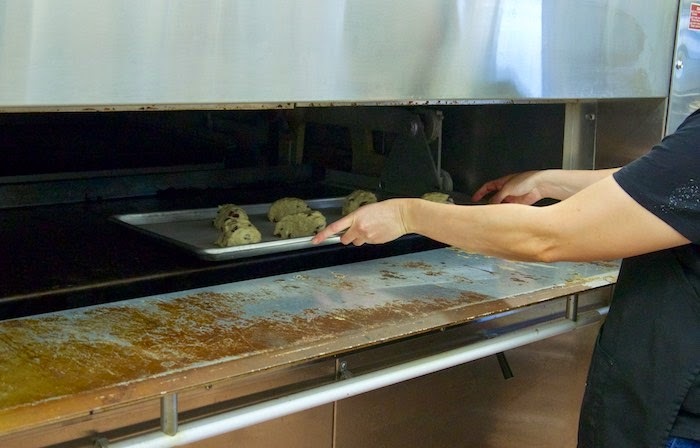 From mini-pies to giant cookies and almond croissants, everything at The Bakery Phoenix is made fresh from scratch every day. Lisa graciously invited me into her bakery and spent an entire morning teaching me how to make scones, eclair shells, and her amazing almond croissants. 1. Bakers get up super early. Lisa starts her day baking goodies at 4am. 2. Scones don't need to look perfect or even pretty to taste amazing, so don't stress out. 3. Eclairs can be both sweet or savory depending on what you decide to fill them with. 4. When making scones it's important to use cold ingredients and to not over mix the batter. 5. 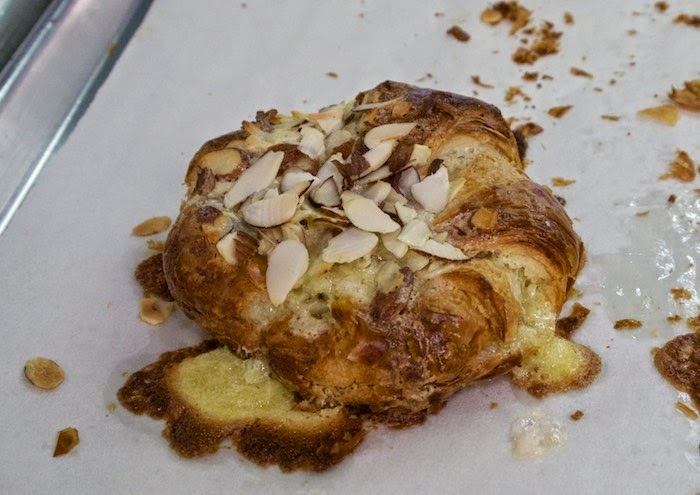 The Almond Croissants at The Bakery Phoenix are amazing. 6. I could totally work in a bakery. 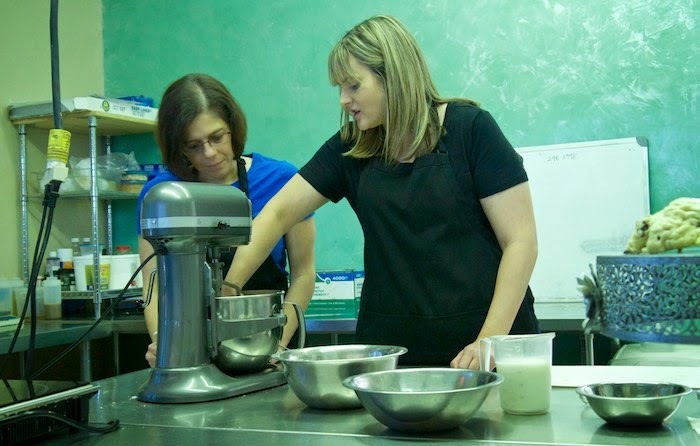 In a mixer bowl, whisk together the flour, sugar, baking powder, baking soda and salt. Cut the butter into small pieces and blend into the flour mixture with the paddle attachment or by hand. The mixture should look like coarse crumbs. Add the buttermilk to the flour mixture and stir just until the dough comes together. Do not over mix. Add cranberries. 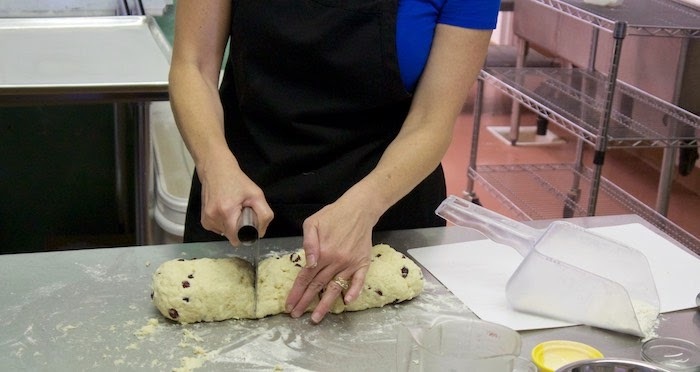 Transfer the dough to a lightly floured surface and knead the dough gently and form into a 7 inch long log. Cut log into evenly shaped triangles. Bake for about 20 minutes or until golden brown and a toothpick inserted in the middle comes out clean. Remove from oven and transfer to a wire rack to cool. Can be stored at room temperature for a few days. 1528 E. Bethany Home Rd. I have never made scones but I think that's going to change. I had no idea they could be so simple! Printing recipe and will make them this week! 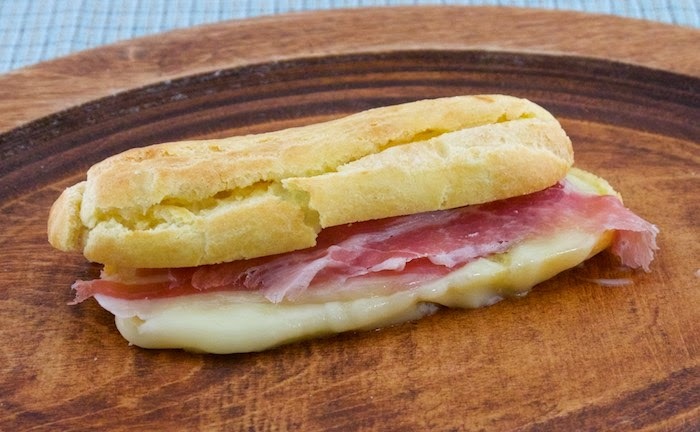 I don't think I've ever seen a savory eclair before--genius! A baker's life is definitely not an easy one! 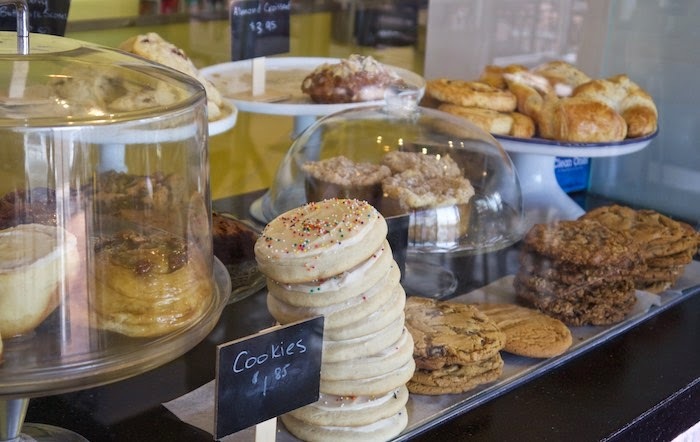 I worked in a bakery for 2 months when I was 21 and it was hard living for the full-timers! The bread bakers were there at 3 AM to start the day--wow! What a priceless experience you had! These look delicious! I haven't made scones since culinary arts class in 9th grade. May have to try again. YUM! I looove scones with tea. I used to get them at my local WFM and they were dense and delicious. I'll definitely give these a go! Nice scones. Also love the savory eclairs! I could have scones every day. These look great! I love scones! And I am so intrigued by savory eclairs! I could never own a bakery. I'm a night owl, but you were rewarded for your early morning work. Scones look delicious. Now that's the way to learn to make scones! These would be perfect with my cup of tea this morning. They look lovely, what a great experience! While those scones do look delicious and beautiful, I'm in total awe of that savory éclair! I've never thought of eclairs as savory. I love making scones, these sound fantastic! And how lovely to spend the morning working in a bakery! 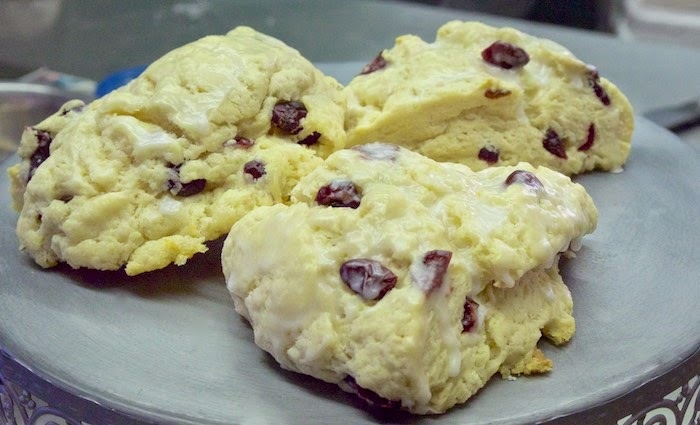 This is a great idea to make scones. I am always intimidated by recipes for scones. You two make it look so much more interesting and easy. I always wanted to work in a bakery but their hours are horrific...I'd much rather make these scones at home and eat them all by myself!